Full Page hosted on ShopGaithersburg.com to provide product and services information. Read what our clients have said about their advertising page on ShopGaithersburg.com. 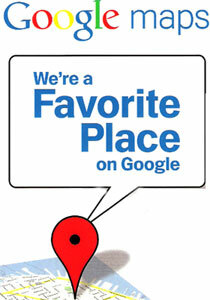 Our members are enjoying TOP RANKING in search engines results. If you have an under producing web site a membership on ShopGaithersburg.com will help your web site produce the kind of business you wanted when you launched it. Why is online advertising more useful than print? Even the Yellow Page went online. Consumers don't think you are real business anymore unless you have an online presence. As music teachers, we engaged ‘ShopGaithersbug.com’ to design and post our advertising webpage. The results have been very satisfying, in that our teaching schedule has constantly been filled with students of varying abilities and on a variety of instruments. We highly recommend that any business owners or service providers use this site as a means of advertising. ShopRockville.biz - Montgomery County, Md. ShopGermantown.com - Upper Montgomery County, Md. The growing ranks of experienced Internet users as well as the deepening reach of the Internet into all aspects of American culture has raised all Americans' expectations about what is available online. 84% of American Adults Use the Internet, clear majority (58%) of senior citizens uses the internet. In 2000, 70% of young adults used the internet and that figure has steadily grown to 96% today. Today, 85% of men and 84% of women report being internet users. 83% of Americans who use the internet at least occasionally using a smartphone, tablet or other mobile device – 89% go online daily and 31% go online almost constantly. 70% of the time a user will come to a website for the first time using their smartphone. "The message of this survey is that the Internet is the norm now in America," said Lee Rainie, Director of the Pew Internet & American Life Project. "Most expect to find key information online, most find the information they seek, and many say they turn to the Internet first when they have a pressing need."